The entertainment industry (violent movies and videos)got a pass from Barack Obama in regards to Executive Orders encompassing gun control. The New Mexico teenager accused of killing his parents and three younger siblings was ‘involved heavily’ with violent video games prior the shooting, the Bernalillo County Sheriff’s Office said. …. 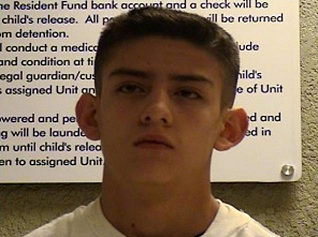 The sheriff said Nehemiah Griego got excited when he had the chance to discuss his penchant for violent video games with investigators. One of the games he mentioned was “Modern Warfare,” Houston said. Boys needed to be taken of their computers, and provided more socialization. He understoood what he had begun to see long before it was even studied. And smoking doesn’t cause cancer, says Phillip Morris. “… To be clear, our family has differing views on gun rights and gun control. What we do agree on is that those who wish to score political points should not use a confused, misguided, 15-year old boy to make their case. The father was apparently a helpful figure in the community. For all his help, he did not have control of this 15 year old. I would guess that this killer had issues for a long time that were not effecitvely addressed by the family or any medical professionals. The admission to the police about the video games and his reported behavior when discussing them is the clue. Allowing any child, girl or boy, to get away with poor behavior will destroy their ability to understand responsibility for themselves, family and community. This has to start as soon as they can understand the meaning of words. Can’t really read another one of these types of stories. I’m still recovering from the rest of the insanity in our Country. We are all going to hell in a handbasket at this rate. Keep praying because something is really desparately wrong with America in modern day society. Canada looks pretty good right about now. I am a proud capital “C” Conservative Canadian that recognizes the writing on the wall which reveals although my country may not have the pedal to the metal but it is taking a deceptive cruise towards socialism/Marxism nevertheless. At times the entitlement words “the government should …” comes out the lips of my grown kids and their spouses. I cringe. However … Hubby and I say nothing because we have said it all. We give it to God and let it go. At this stage in our lives we would rather concentrate on the relationships. The fact that you are 43 times more likely to be harmed by a firearm you bought for self defense than use it to defend yourself can’t be repeated enough. Facts are facts. What tragedy will tomorrow’s news bring? #6- Janet. For some reason, every time I read your posts, I feel more peaceful. You are so right about the relationships. And I will continue to pray to God. It’s the only thing that makes any sense right now. Thank you for always making me feel better, and hugs to Tamiko and all of your family and Grandchildren if you have any yet. This story was horrific. I would just like to reply to conservative grandpa, above, you seem to imply that this boy was not disciplined. In fact, given the circumstances including that the church where the father was previously a chaplain uses a book (Ted Tripp Shepherding a Child’s Heart) that recommends things like pulling down a child’s pants, putting him over the father’s lap, and spanking him; spanking babies under one year of age too young to even understand why they are being hit, etc, it is highly unlikely this boy did not receive regular discipline including physical punishment. The father was also reportedly an ex-gang member and ex-con, yet he kept loaded guns (illegally purchased?) in the house and even instructed his son to use them if necessary to shoot intruders. Maybe more will come out about the reasons this happened, but I seriously doubt that these were excessively permissive parents. I am very sorry for the family members who were killed & all who were left behind. p.s. I may be wrong, but in my experience with this church (Calvary Chapel of Albuquerque and other Calvary Chapels related to Chuck Smith organization) there is a tendency to encourage people to get counseling within the church for even pretty serious mental health issues. There are people in the church leadership who do not believe in seeking any non-religious counseling or medical assistance for things like depression. Even if the family saw any warning signs, they may have attempted to handle it through prayer or through the church. Since Nehemiah was home-schooled, he may not have come in contact with teachers or counselors trained to spot warning signs for mental health issues.